The California Craft Brewer’s Association finds that the craft beer industry contributes more to California’s economy than in any other state in the U.S.
It’s no secret that craft beer is a major industry in San Diego and across California, so much so that it contributed $6.5 billion to the state’s economy last year, a newly-released report states. 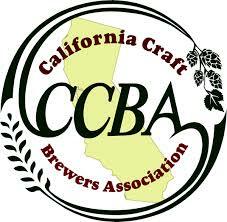 According to new data from the California Craft Brewer’s Association (CCBA), the craft beer industry’s contribution to California’s economy in 2014 was an 18 percent increase from the 2013 stats. That growth means the craft beer industry in California has a higher economic impact than in any other state in the nation. The CCBA said the $6.5 billion figure is still a conservative number and even more accurate data will be tapped in June. The craft beer industry also contributed to employment across the state. In 2014, craft brewers employed more than 48,000 Californians.